The Dental Clinic at the San Pedro PolyClinic II started offering Preventative Dental Care to children ranging in ages six to 12 on Monday August 15th. This service will continue through Thursday August 18, 2011 from 8:30AM to 4PM. 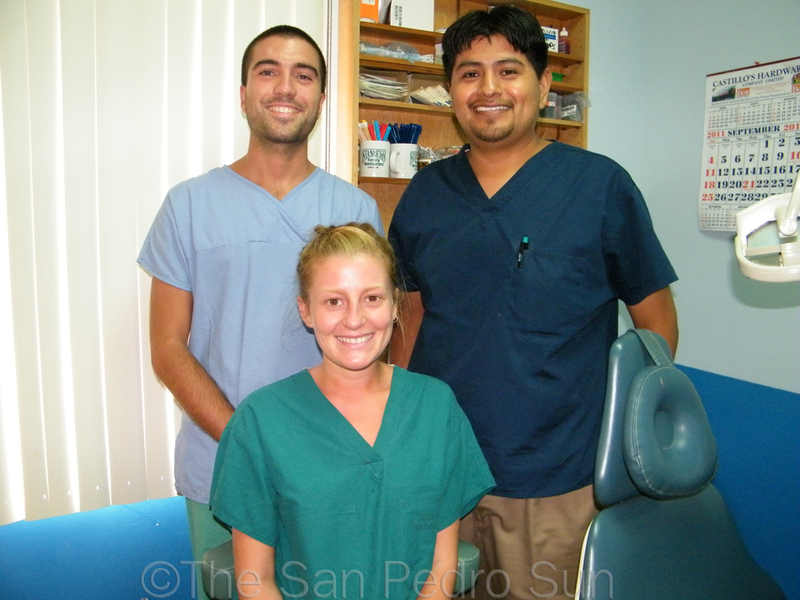 Stephanie Jones, a volunteer Dentist and 2008 Graduate from the Newcastle Dental University in England, with over three years dental practice with adults and children, along with her husband Adrian Jones spent the week offering assistance to PolyClinic’s resident Dentist, Dr. Efrain Cima. The San Pedro Sun found out that as of Wednesday August 17th, Dr. Cima, Stephanie and Adrian had seen over twenty children. The Jones’ were on a two-week vacation to Belize and decided to spend five of those days volunteering at the Clinic. Together with Dr. Cima, they offered services such as cleaning, filling, extraction, oral physiotherapy, hygiene, healthy eating and even presented patients with colorful toothbrushes. Dental patients are reminded that it is essential to always maintain healthy teeth by brushing, especially before visiting the Dentist’s Office.